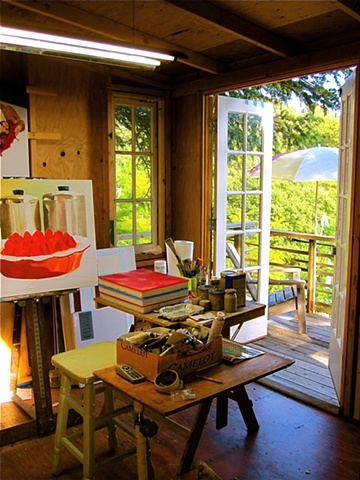 Inside my wife's painting studio. Before I built her this studio she had to paint in our living room always worrying about spilling paint on our hardwood floors. She loved the rustic feel of the building & the painted plywood floor.